Real nice. 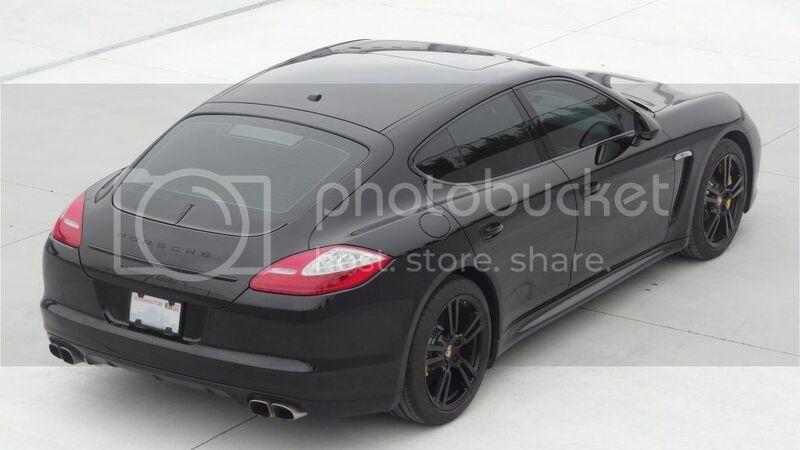 Black Panamera always works. WOW love the car!! congrats!! would you share where or how you got the black logo lettering? Factory option, too much black can be a problem but in this case I think it looks good. Did the Turbo II wheels come black or did you paint or powdercoat? The dealership had them powdercoated before I located the car. It's not something I would have bothered with. The satin finish did come out good though. Aren't you better off deleting the color-matched emblem? I think it defeats the purpose of having emblems. I always wondered why people do this. Stealthy otherwise. Nice!